The latest result is the Victorinox Pioneer in Livanto. To make the Alox scales, used Nespresso capsules must be melted down and then cast. We wanted to be absolutely certain that the molten material could stand up to our stringent high quality standards, so we carried out numerous tests in our development laboratory, ensuring that the new material would be stable, durable and fitting all design requirements. 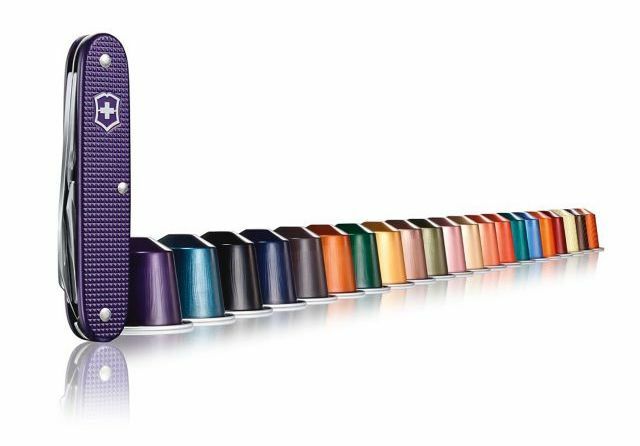 The two companies initially teamed up in 2016 to honor the 25th anniversary of Nespresso’s recycling program, but the success of the original Nespresso Victorinox Pioneer led to another. The first version was the Pioneer in Arpeggio, which is a hue of purple. I am much fonder of the creamy brown that makes a stronger visual connection with coffee. 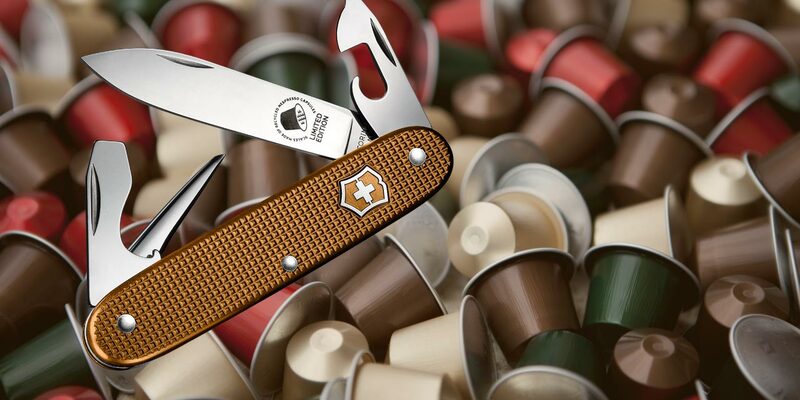 These knives are only available through Victorinox and Nespresso.